Now welcome to the streets of Nevada City, where the crepe myrtles are in bloom — but the streets have been ripped apart for months, thanks to a new water main and a new gas line from PG&E — all at the same time. It’s a big mess. 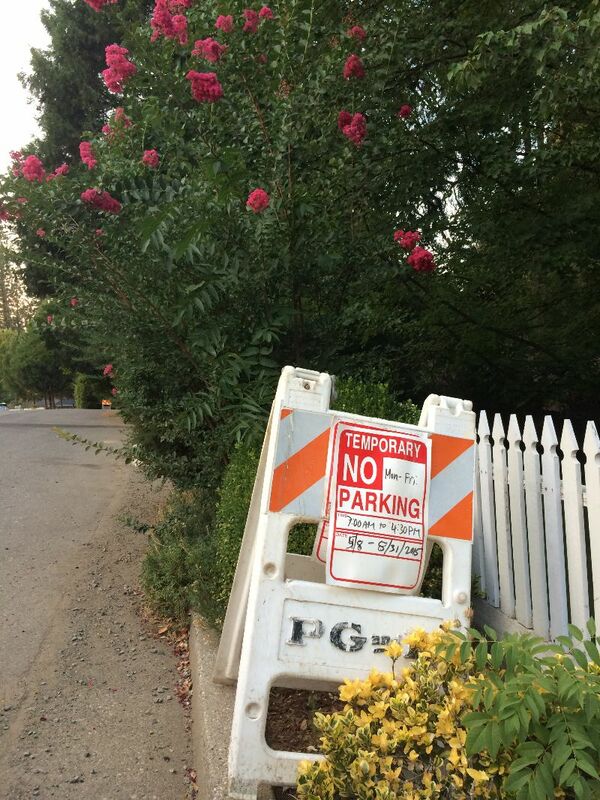 We joke about the “temporary no parking” signs that, in fact, are dated from 5/8 to 8/31. PG&E now thinks it will last until September. There’s loose asphalt all over the street. Come visit if you dare, but it’s going to be dusty and dirty — just like the old west. That “new” street cleaner is nowhere to be seen. The piles of rocks, rebar and debris would make a trip down the street unfit for a baby carriage, let alone riders in the Amgen Tour of California. Our neighbors are all joking about “Quanitytown.” LOL. The Stanford Tree is the Stanford Band’s mascot and the unofficial mascot of Stanford University. The Tree’s costume, newly created each year, is a prominent target for pranksters from rival schools, in particular Cal Berkeley. Nestled in the Sierra foothills, Nevada City has its own tradition of a walking tree. In this case, the Walking Christmas Tree is a longtime tradition at Victorian Christmas. This annual, family tradition takes place December 10, 14, 17 and 21, 2014, and features carriage rides, live entertainment, yuletide treats, libations and Father Christmas. The handmade tree is a work of art, made of green satin, fleece, a hoop skirt and adorned with lights, ornaments and bells. The tree took about 40 hours to create. 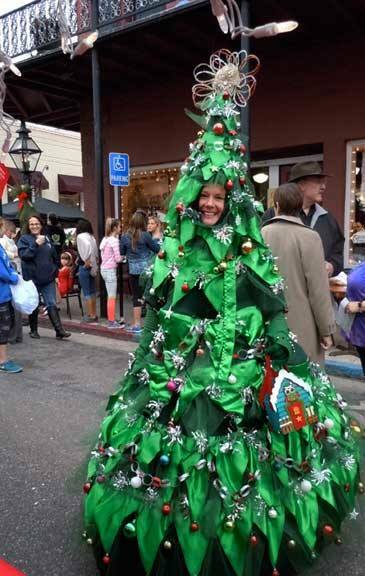 Nevada City’s “Christmas Tree Lady” hands out candy canes to visitors. “The adults mob me more than the children,” Cindy jokes. 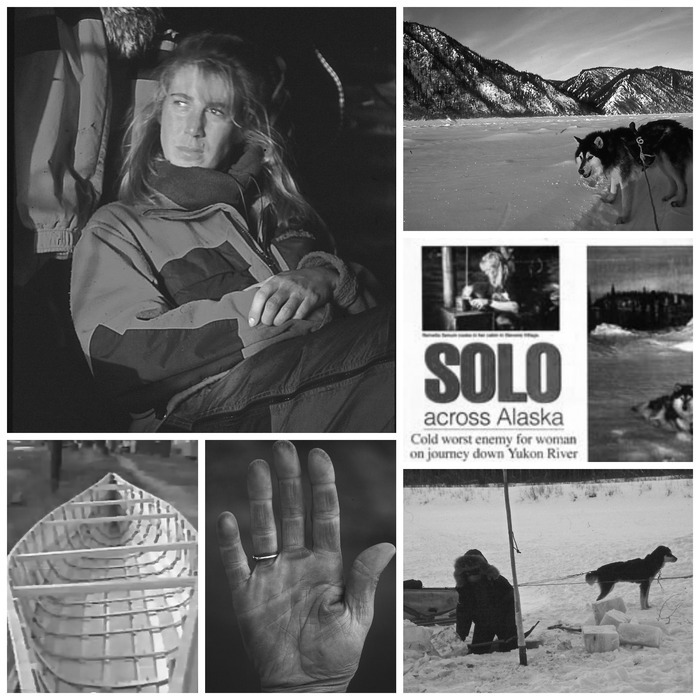 Reinette Senum — our local adventuring storyteller, filmmaker, writer, community activist, and former city council member and mayor — has launched a $30,000 “Kickstarter” campaign to fund a film about her becoming the first woman to cross Alaska alone, and the inspiring family connections and revelations that followed. 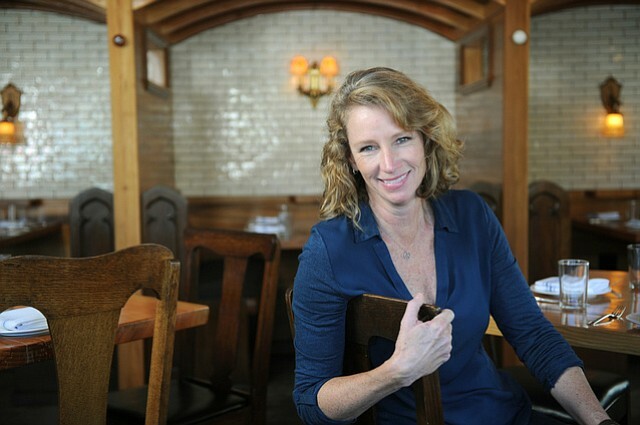 We also have appreciated Reinette’s pioneering effort to launch the Nevada City Farmers Market, the annual farm-to-table banquet and the Boardwalk — all of which has added vibrancy to lower Commercial Street. It has led to gatherings such as First Friday Artwalk. Reinette also helped inspire the Three Forks Bakery & Brewing Co. She is a hard-working community volunteer. These are nonpartisan endeavors. We need to support the diversity in our community. 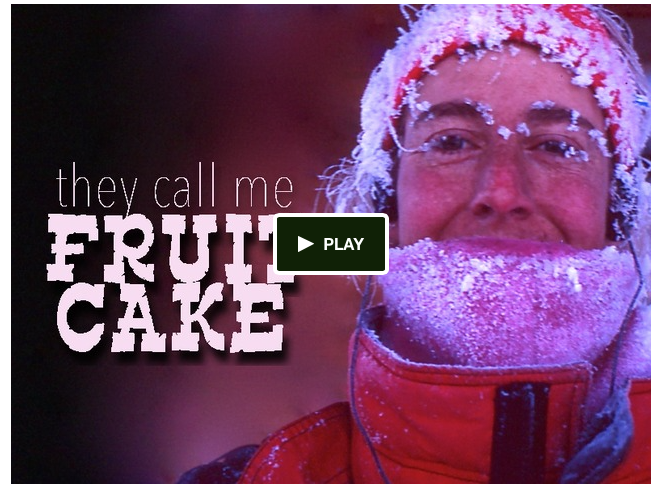 “They Call Me Fruitcake is an inspiring true story about unparalleled self-discovery 120 years in the making, spanning the last frontier, transcending generations, and revealing an epic twist of fate and the legacy it left behind,” according to Reinette’s Kickstarter campaign. The link to a video is here: https://www.kickstarter.com/projects/146233960/they-call-me-fruitcake/widget/video.html (The photo below is static but it shows Reinette’s pioneering spirit). Good luck! CABPRO founder and former Nevada County Supervisor Todd Juvinall recently reported on his blog that he and a “gal pal” visited Doug LaMalfa’s rice farm in Richland for a political fundraiser. “We made the rounds … the tri-tip was so tender!” he reported, adding “I got this picture at the beginning of the evening and before he was shaking all those hands.” Urban dictionary defines a “gal pal” as a “guy who hangs around with all the girls.” It got me thinking that Todd is one of those “Aqua Velva” men. Will proposed “lifestyle center” @ Dorsey Interchange cannibalize our historic downtowns? Editor’s note: The new mall proposed at the Dorsey Drive Interchange has been likened to the Fountains at Roseville — the Sacramento region’s first “lifestyle center” that opened in 2008. At the CDR meeting in Grass Valley this week, the word “destination” was used again for the proposed mall — a place where people and families could hang out for five hours or so, shopping, dining, watching movies and the like. A lifestyle center — a term coined in the late ’80s by Memphis developers — is a shopping center or mixed-used commercial development that combines the traditional retail functions of a shopping mall with leisure amenities oriented towards upscale consumers. The Fountains was “designed as a destination for shoppers to relax, shop and have fun from daybreak to sundown.” It includes holiday events, summer concerts, wine walks and more — just like a downtown. It is anchored by Whole Foods Market, restaurants and speciality shops. 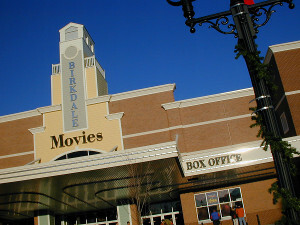 The Dorsey Interchange mall could include an expanded BriarPatch Market and multi-plex Sierra Cinemas, among other tenants, according to my sources. No decision has been made, however. A big-box store is expected to be included in the mix, though not an anchor tenant, as in a traditional mall. There is an ongoing debate across America about whether these so-called lifestyle malls are cannibalizing historic downtowns. Here’s an article from National Trust Main Street Center (a group that is focused on preserving historic downtowns) titled “From Main Street: Will Lifestyle Centers replace Downtown?” Grass Valley is a member of the Main Street Program. “Lifestyle centers — a new open-air retail format smaller than a regional mall and often unanchored by traditional department stores — are developers’ response to a changing retail landscape. These centers cater to the specialty retailers, restaurants, and service chains that continue to add new store locations. The open-air format, design and amenities, and concentration of entertainment uses seek to create a more exciting environment to attract customers. 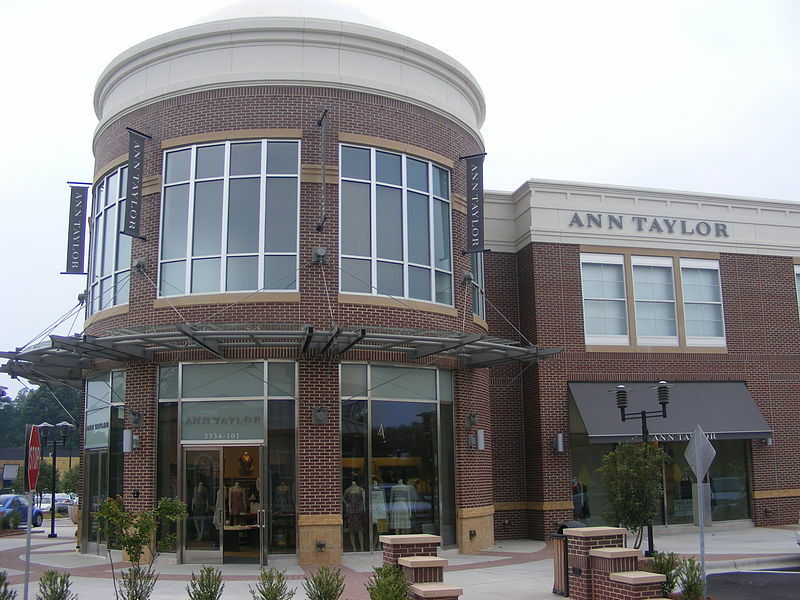 “•Buildings are often made to look like multiple storefronts that have evolved over time. “•Shops open directly to the sidewalk. Cars have even been introduced into the center with streets and parking. “•The center will usually have entertainment uses, such as theaters and fitness centers. Residential or office uses may also be incorporated into the mix. “•Location. A lifestyle center, as a new creation, can be located in the best place relative to population and transportation networks. “•New design. Designed from scratch, it can also create a pattern of uses, circulation, common spaces, and parking that addresses the desires of tenants and customers alike. “•Ownership. Owning the properties allows operators to approve or disapprove of potential tenants, determine where they can locate in the center, regulate facades and signs, and establish policies for hours of operation. “•Available resources. Tenant fees, paid by all, go toward providing security, maintaining common areas, and promoting the center, without the need for a member-based organization or business improvement district. “But do lifestyle centers really succeed in recreating the experience of a true downtown? While there are some very good examples of lifestyle malls as ‘new town centers,’ the majority fall short in their design, more closely resembling the open air malls that were built until enclosed malls became the norm in the 1960s. “Even the best of the centers, though, still miss the mark in a few key areas. Despite their design appeal, lifestyle malls are filled with the same shops selling the same merchandise and the same restaurants with the same food as every other mall in America. Although safe and clean, they may also appear a bit sterile. “A close look at the buildings reveals them to be large structures with tacked-on facades, rather than individual structures with their own history. In fact, it is history that is missing from the picture. A true downtown has a patina, a unique feel, a randomness that can’t be duplicated. “Downtowns will not compete by trying to be like lifestyle centers, even though there are lessons to be learned from their design and management practices. “Instead, downtowns will succeed based on their ability to differentiate themselves from the homogeneous aspects of these malls. They will build on their history, promote their unique shops and restaurants, incorporate residential and employment uses, provide flexibility in design, and celebrate the quirks, scars, and oddities that have appeared over time. Author jeffpellinePosted on February 25, 2014 February 25, 2014 Tags Dorsey Drive Interchange, grass valley, Nevada City34 Comments on Will proposed “lifestyle center” @ Dorsey Interchange cannibalize our historic downtowns? Barely just a year old, the ol’ Republic Brewery in Nevada City has won approval for a major expansion that will quadruple its production and clear the way for it to begin selling bottled beer within three months, Sierra Foothills Report has learned. The expansion is the latest example of the boom in craft beer and other artisan-food businesses in the Sierra foothills — from crusty bread at The Baker and the Cakemaker in Auburn to chocolate at Nevada City’s Cello Chocolates to dry-cured meats at the Smokey Ridge Charcuterie in Placerville. Ol’ Republic’s growth spurt shows the potential for entrepreneurship and economic diversification in our region — typically dominated by construction and real estate. It shows the potential for local policy-making that nurtures and supports small businesses. Ol’ Republic’s expansion will occur in the Seven Hills business district of Nevada City where the existing brewery is located, a coup for the historic town. Ol’ Republic worked with landlord and longtime resident Lance Amaral to secure the space, and received its approvals from the city and county. The brewery will add 4,000 square feet of space behind Nevada City Furniture and Mattress to the existing 3,200 square feet of space — more than doubling its size — co-founder and co-owner Jim Harte told Sierra Foothills Report. Annual production will quadruple to 2,000 barrels a year from 500 barrels a year, Harte said. “We’ll be able to blanket the area from Lake Tahoe to Sacramento,” with ol’ Republic Beer, he added. The beer is now sold at ol’ Republic’s taproom at 124 Argall Way, as well as some local restaurants, such as Matteo’s Public in downtown Nevada City. The taproom has become a popular gathering spot for beer, music and catered food. Or guests can BYOF (bring your own food). At the start, the bottled beer, in 22- or 24-ounce bottles, is expected to be sold at SPD Market in Nevada City and Grass Valley and the Station House on East Main Street in Grass Valley, Harte said. About three types of ol’ Republic’s beers will be bottled for the rollout. The brewery is in the process of refining its labels. Ol’ Republic will still sell its beer in kegs and growlers. But the bottled beer — released in smaller quantities at first — will be well suited to locals and visitors alike. Visitors can grab a bottle of locally made beer at SPD and include it with their picnic basket for an outing. Ol’ Republic Bewery opened its doors in February 2012. Brewers Harte and partner Simon Olney handcraft their lagers. Examples include a Dortmunder Export, a Helles and their version of a California Common. 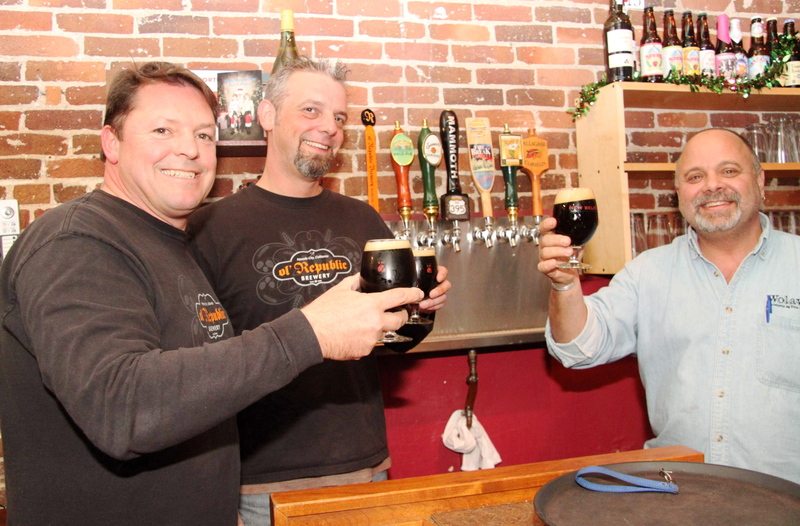 Their ales include an English-style IPA, a Celtic Red and the blackest Export Stout. Harte called this expansion “phase two” of the ol’ Republic brewery, whose launch was first reported here in March 2011. A “phase three” could include expansion to 8,000 to 15,000 barrels annually, expanding beyond the Interstate 80 corridor, he said.